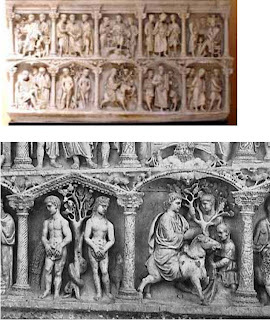 The first image is Sarophargus of Junius Bassus located in Italy of 350. This shows kids throwing branches. 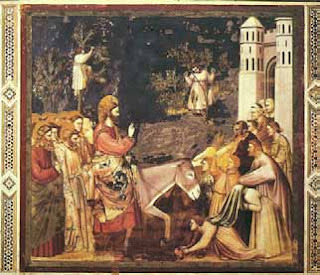 The donkey in the image is similar to the 2nd image by Giotto. It is similar because Giotto puts stain glass paintings together to make it realistic because he wants people to have humanism and senses to connect them together. The second image is Christ Entering Jerusalem by Giotto in Italy in 1305. People are throwing cloaks off and the donkey smiling. Giotto wanted to show people emotion by showing perspective and the faces on the characters. 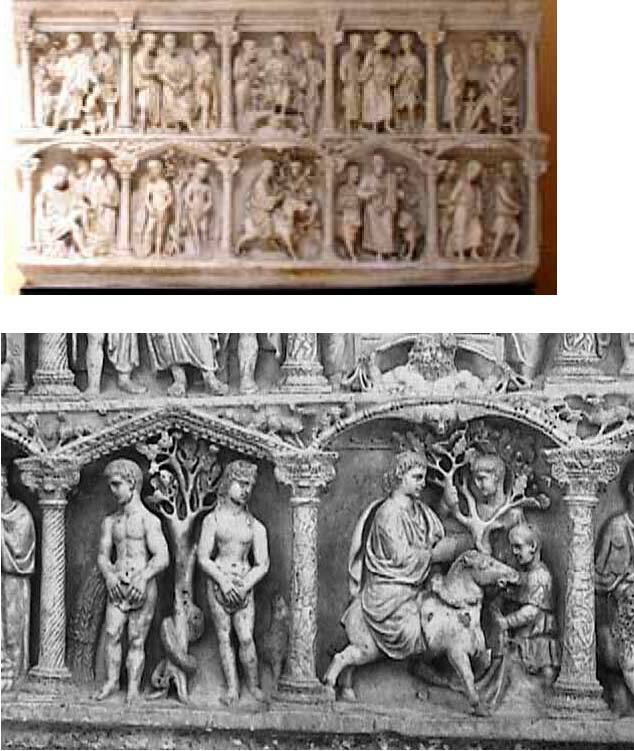 The laws of perspective were figures out in the 1400s.